2006-12-11 YK-AHA Syrian Seen ARN Operated RB1448 to DAM as YK-AHB was damaged at ARN. 2007-01-08 YK-AHA Syrian Seen AMS Operated Hajj-flight RB1403 from Damascus. Returned empty as RB1404 to Damascus. 2007-11-25 YK-AHA Syrian Seen DAM At gate. 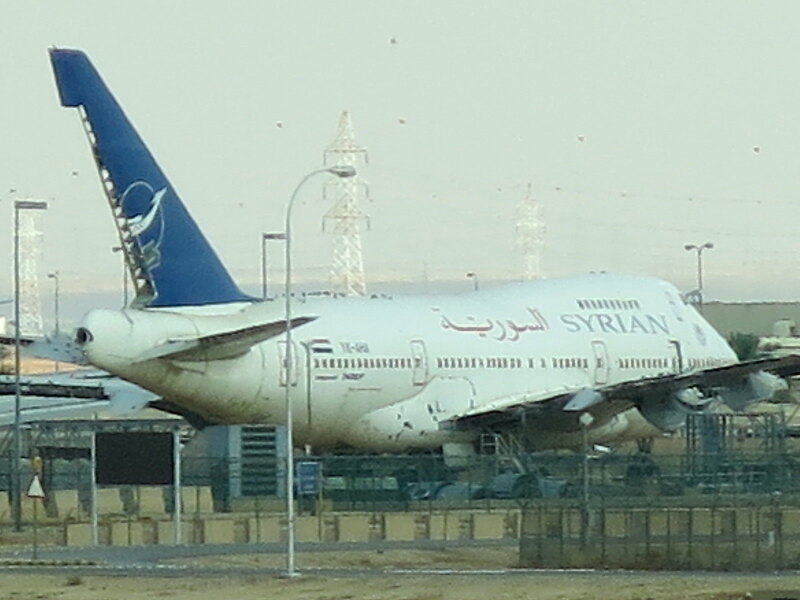 2014-05-05 YK-AHA Syrian Seen RUH Moved behind Al Salam maintenance next to ex Kuwait 747 and un-marked BAC 1-11.